Basic Polish presents concise explanations of grammar with related exercises, to build confidence in using the modern language. 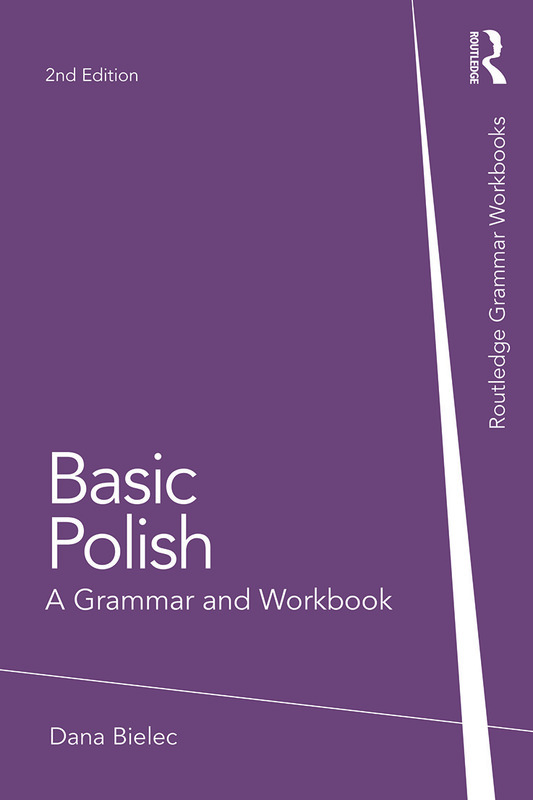 Assuming no previous knowledge of Polish, the book’s step-by-step approach guarantees a thorough grounding in the basics of grammar. Each of the forty units introduces particular grammar points. Clear and concise explanations are supported by a wide range of examples and exercises to allow students to practise and consolidate their learning. Later units also reinforce material taught in earlier ones. This second edition has been revised to include updated examples and explanations. It also offers five new appendices containing a comprehensive summary of grammar functions, guidance on studying an inflected language, and helpful information on question words, the important verbs być and mieć and perfective and imperfective verb aspects. Written by an experienced language teacher and author, Basic Polish is the ideal introduction to the structures and expressions most widely used in spoken and written Polish. It is suitable for both independent use and classroom study. Dana Bielec is the author of the popular Polish: An Essential Grammar and Intermediate Polish: A Grammar and Workbook, both published by Routledge.